A few months ago we dropped cable from our household. Because of that, we don't have a lot of access to TV shows. What we tend to do is buy DVDs of movies and shows that seem interesting to us. 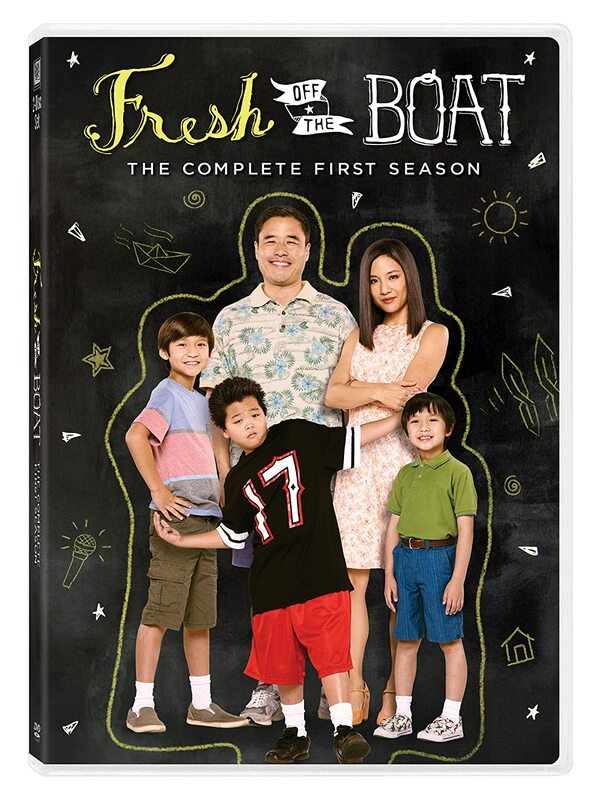 My kids, being tweens and teens, had heard of Fresh Off the Boat from their friends and were excited to watch the first season on DVD. A little under five hours of viewing pleasure in two discs, Fresh Off the Boat: The Complete First Season is a family sitcom that both kids and adults can enjoy. It tells of a mom, dad, and three boys that try to fit in a new environment. The mother, Jessica, mainly keeps her focus on their Chinese heritage while the father is all about embracing the "American" way. Although there is some nonsensical antics within the episodes, it's mostly fascinating to watch this family who just wants to make the most of their world. I enjoyed watching the first season with my kids and they seemed to like the show, with "Fajita Man" being their favorite episode. I've never seen the show, but think the previews always look really funny. I'll have to give it a shot! Thanks for the review!! I absolutely love this show! It's hilarious, and darn near everything in it takes me back to growing up in the 90's! I like this '90's flashback. It is such a great show!